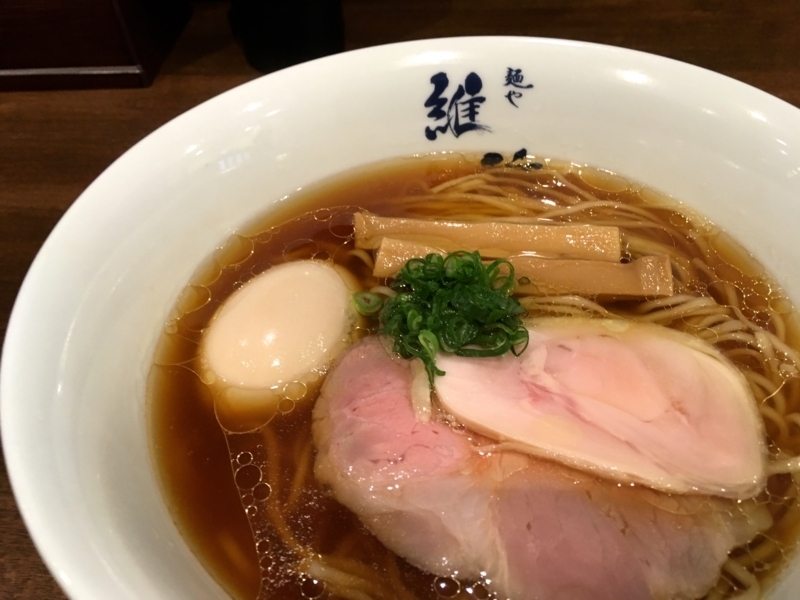 Meguro is an area with many ramen shops even in Tokyo. 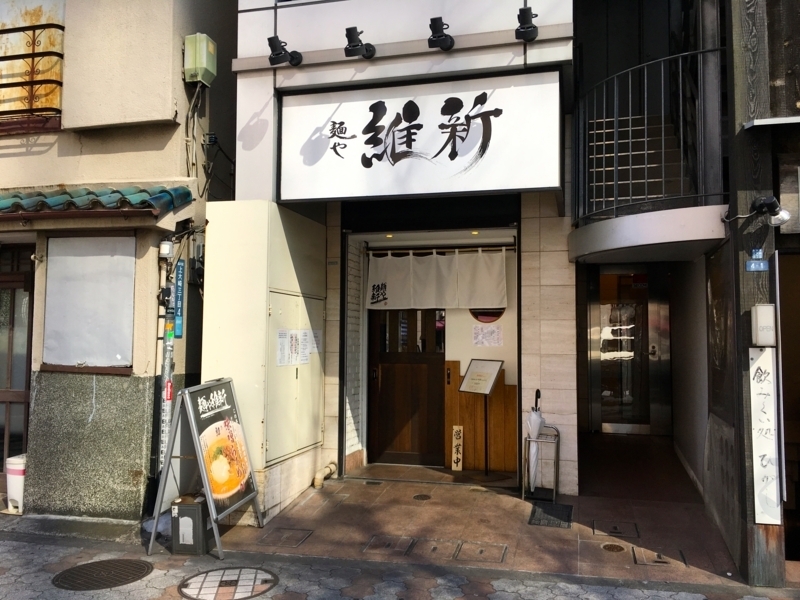 On the west side of JR Meguro Station area, there are many good ramen shops. I always go there, but this time I went to a shop called "Ishin" on the east side. 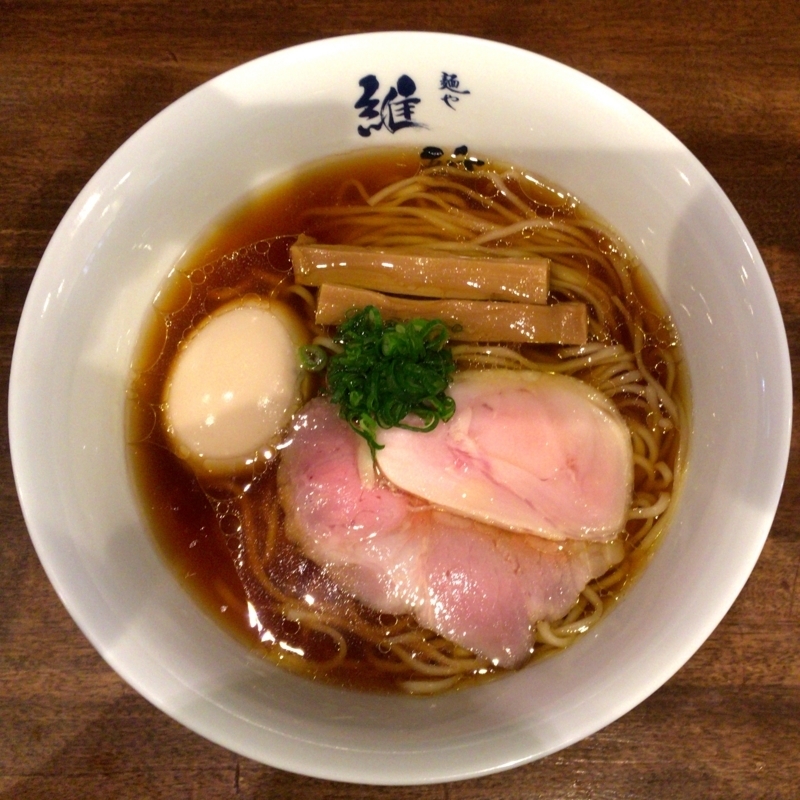 "Restoration" has a shop in Meguro and Yokohama, offering ramen as mint. 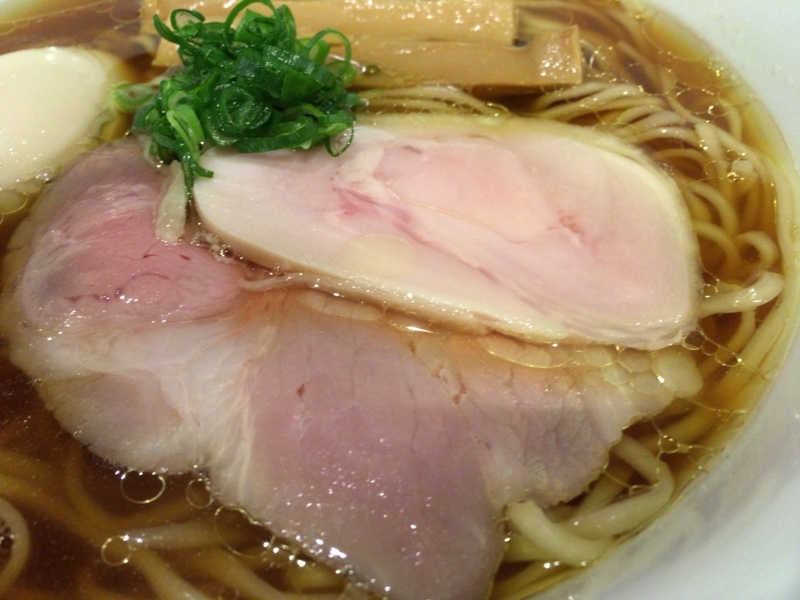 In Yokohama before, I ate yuzu salt ramen, so this time I ate a soy sauce ramen in Meguro. The ramen looks very smart and has a brown color tinged with a transparent sense of soy sauce. As for the taste, the soup stock of chicken is the main, but it seems that soup stock of seafood is used in addition to this. I felt that soup was very mild, especially impressive. 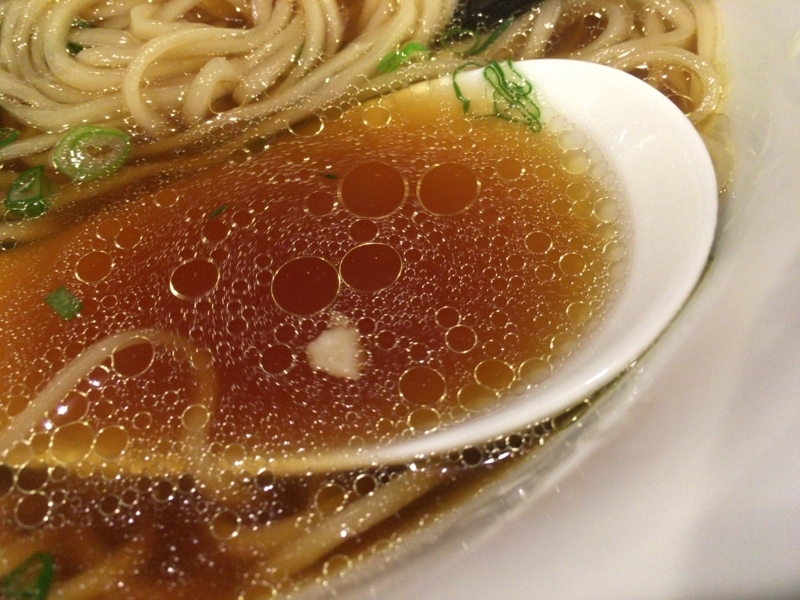 For ramen soup, flavor oil is used for chicken oil (called Chi Yu), which makes it feel tasty and mild in ramen. 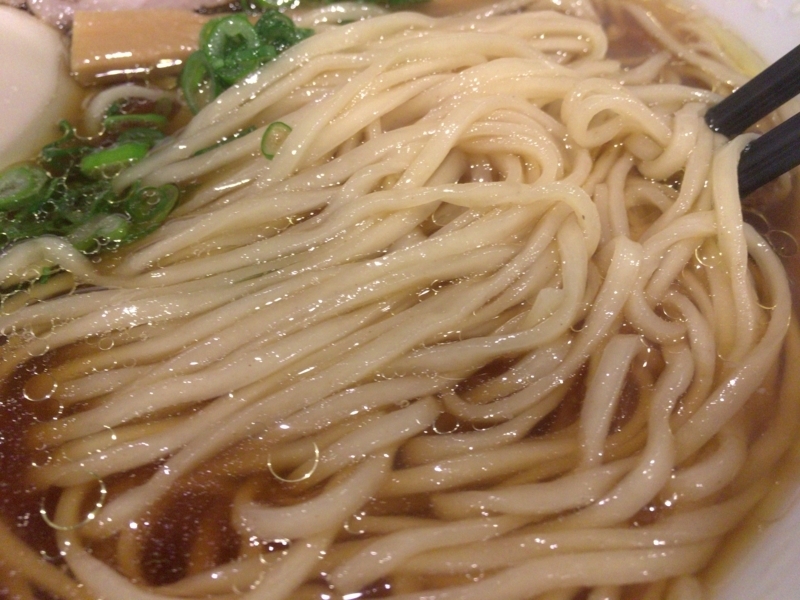 Noodles are thin type and contain a lot of moisture. So it has a very glossy surface and is soft. Noodles lift the soup with surface tension. I feel it is very juicy and rich in taste. 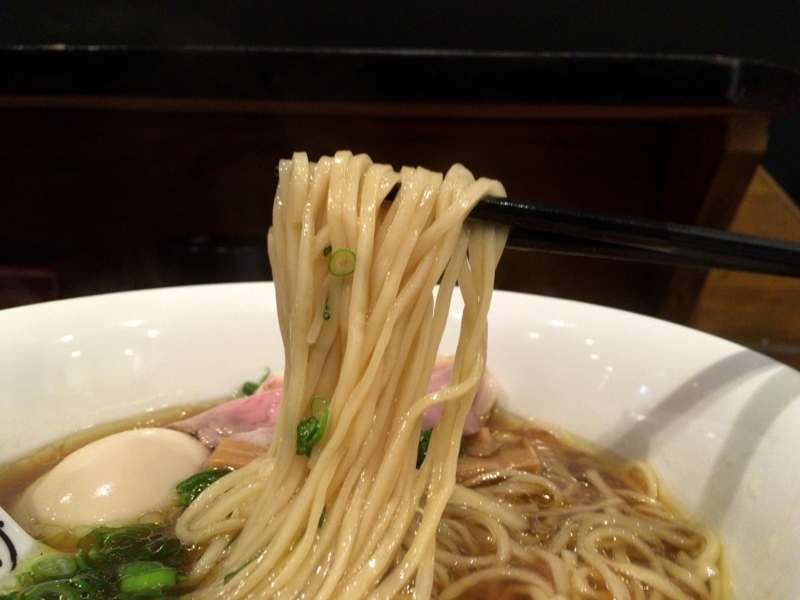 The Japanese eat ramen by shaking ramen with sound. However, because the noodles are very smooth, I feel that sound small. "CHASYU" is two kinds of meat, pork shoulder loin and chicken breast meat. Both methods are cooked slowly at low temperature, its flavor and taste are juicy, tasty and fragrant. 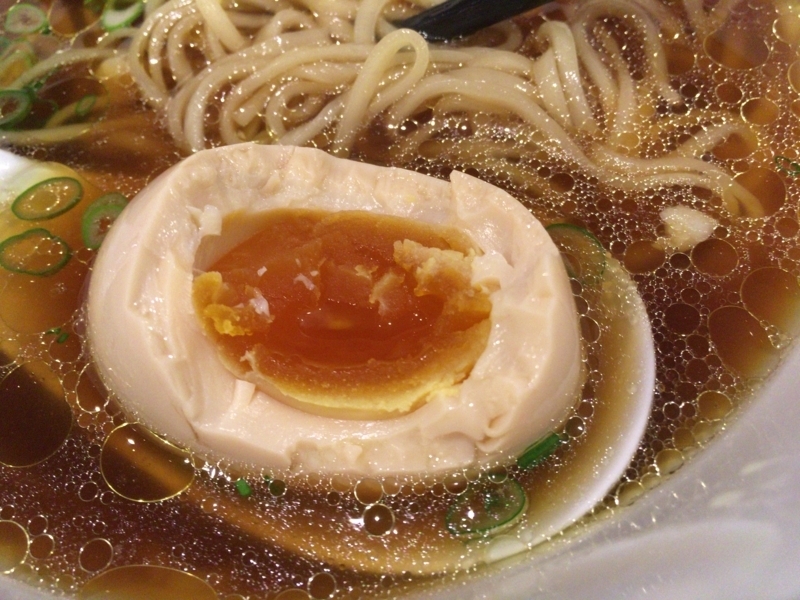 "AJITAMA" is a semi-boiled egg pickled in a sauce. Egg's flavor increases so much, saltiness and sweetness are excellent. The combination of ramen and AJITAMA is the best. If you have the opportunity to go to Meguro, I definitely recommend visiting Ishin. 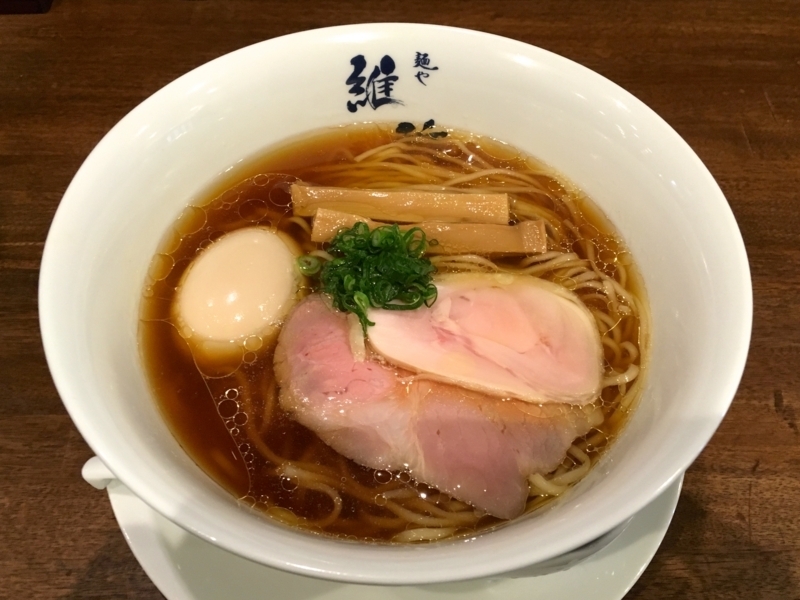 Besides soy sauce, there is salt, there are also tsukemen. It is a very enjoyable shop.